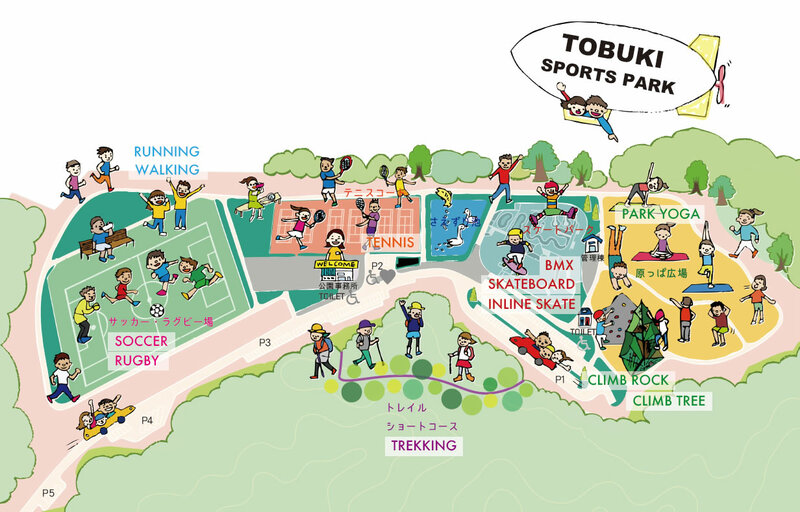 Tobuki Sports Park is located in the northwestern part of Hachioji, offering a Soccer/Rugby Ground, Tennis Courts, Skate park, Lawn Field, Climb Tree, Climb Rock and Exercise Facilities. 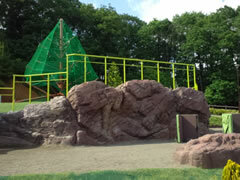 It has been developed from a former Landfill Site. Hachioji Tobuki is a reclaimed waste disposal site located in the northwestern part of Hachioji, having a total area of 181,000m², with the former landfill area comprising 84,000m², During the period from the 1982 until 1996, a total of 939,300m², has supported the life of our citizens and the environment in a landfill capacity as a disposal site for non-combustibles and incineration ash. Although the landfill was closed in 1996, the stabilization of waste matter continues. For a disposal site to be completely reclaimed, it sometimes takes more than a few decades. The landfill will continue to keep a team on site to monitor and manage any seeping water and gasses. Because of the vent pipes there is some generation of gas, the use of fire or open flame within the area of the disposal site is prohibited. The Centerpiece, is the nation’s largest all-concrete Skate Park. “Harappa Square” is a spacious, open lawn, multi-use field that is ideal for family recreation, various events, and a place for all to enjoy. Visitors can play ball, other sports, or just simply relax. Harappa Square includes “Climb Garden” with bouldering style rock climbing and tree climbing, and a 1.5km path around the garden to enjoy jogging or walking. For availability and use of the Soccer/Rugby field, Tennis Courts, and Skate Park, advance reservation is required. 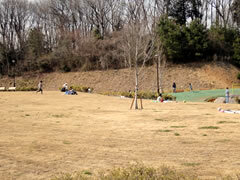 For use of other park facilities, please contact the Tobuki Sports Park office. Parking is available, (bus parking, also). Please contact us in advance about the number of vehicles, the number of people, and the equipment you wish to rent or bring. 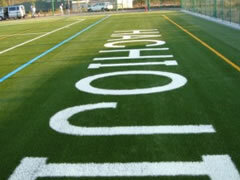 Soccer/Rugby Ground: The entire field covered in Artificial Turf -Reservation and Usage Fee required. 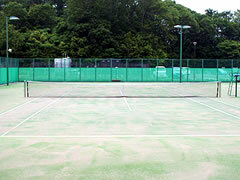 Tennis Courts: 6 courts, covered in Artificial Turf – Reservation and Usage Fee required. When using public transportation, keep skateboards, inline skates, BMX, etc. in their case. The use of Vehicles, Bicycles, and Skateboards in the park is prohibited except in the designated areas. Dogs must remain on a leash, and please clean up after your dog. If you wish to take commercial photographs or video, or use Harappa Square for events, etc., please consult the park office beforehand. There is no waste disposal in the park. We ask that you take your garbage with you. 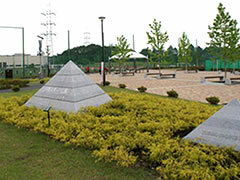 Filming of the exercise facilities in the park is prohibited.